When I first heard that this Lego set was being released, I got way more excited than you’d probably imagine a grown-up man getting. Not because I’m a huge “Detroit Steel” fan, but because of the other Marvel Hero introduced in this set. The character in question is possibly the most pivotal in the entire Marvel cinematic universe, having played a key part in numerous movies – either present or in the background. He’s the former director of SHIELD, the man who “Assembled” the Avengers and possibly my favourite character of all – Agent Phil Coulson. Yes, this set marks the first (how can that be?!) appearance of Phil “Son of Coul”, and it’s been a long time coming. And the even better news is: it’s a great set. 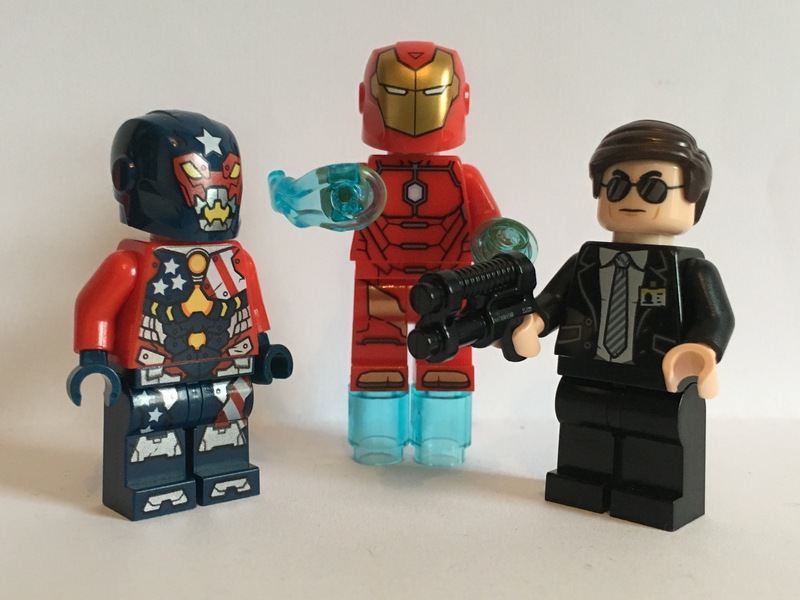 Coulson has been given his dues with a really nice (and reasonably priced) set. 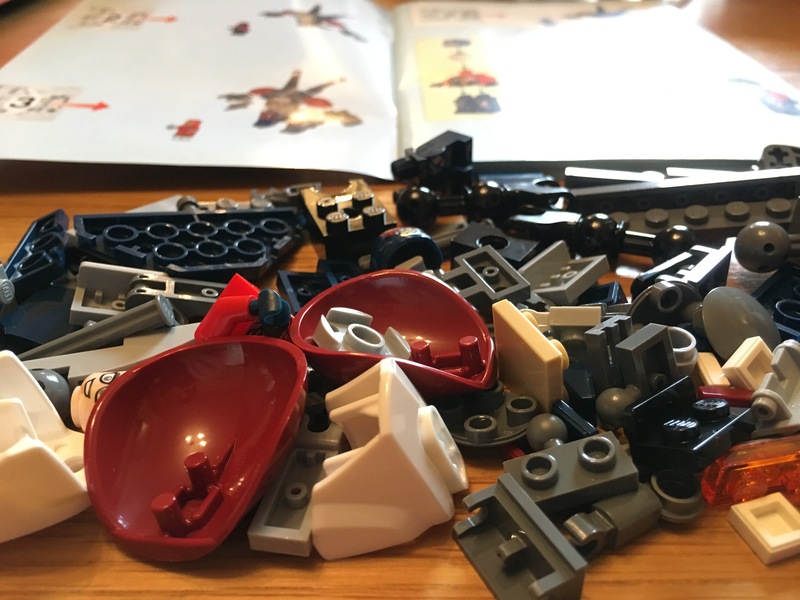 Seeing as I was so excited by this, the kids didn’t mind me helping them with the big build – a build which took around half an hour, give or take. 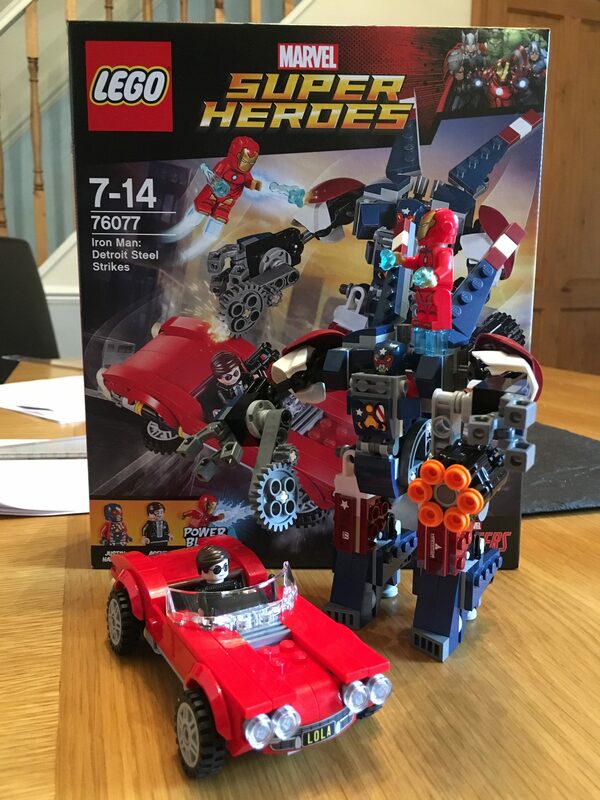 It’s certainly a little trickier than the “Mighty Micro” sets we reviewed last week (thus befitting its 7-14 age recommendation) with a few fiddly bits, particular on the Detroit Steel “mech” robot. Placing the stickers inside the “wheel well” piece was another tricky task, and one which I almost gave up on myself after a few failed tries! Definitely one to get a (patient) grown-ups help with if you’re letting a child tackle this set on their own. 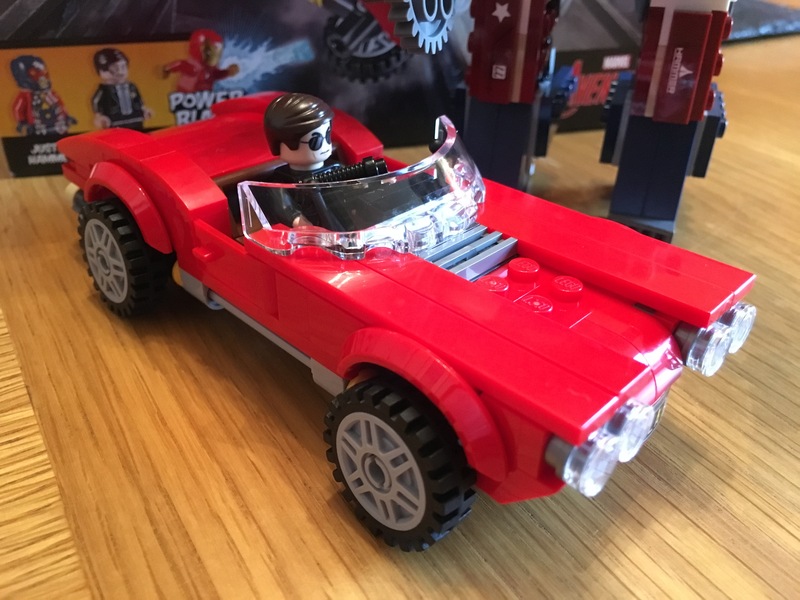 All in all it’s a really nice set, with Coulson’s flying car “Lola” making a particularly nice addition to our Lego shelf (who am I kidding – shelves, plural!). The new “firing” blaster attachments on the Iron Man figure are a nice addition, too – it took a few tries to perfect the technique, but once you get the hang of it they work very well – just make sure you don’t lose them down the floor boards while you practise!! The set retails for around £30, which seems like a fair price to me, considering the detail you get. 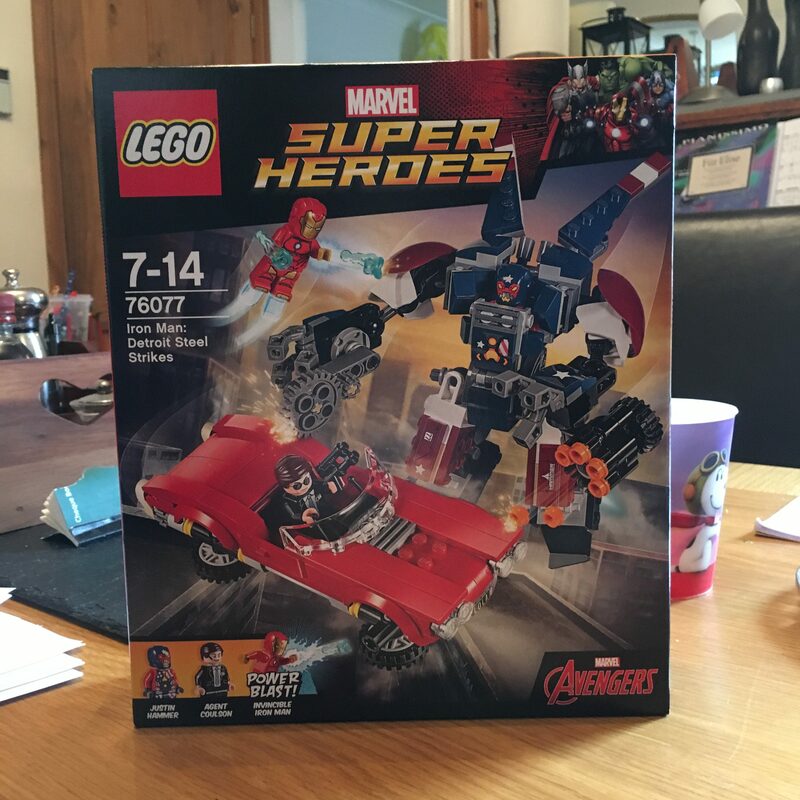 I’d definitely recommend this one to any fellow Marvel fans out there!